Elegant and feminine, the Marjorie sofa from Worlds Away sits on clear legs that give the sofa a floating feel. 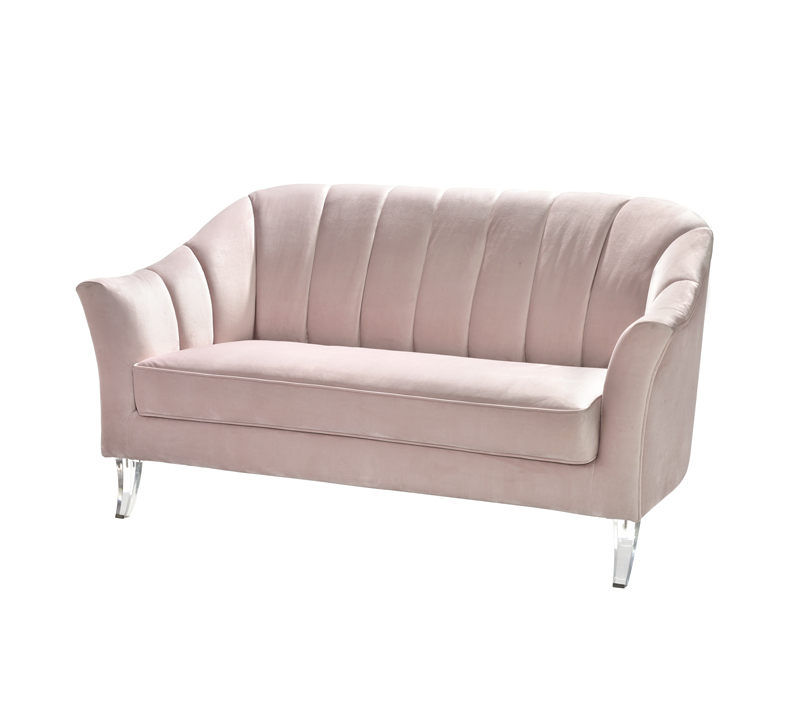 This channel back sofa is covered in Blush velvet. Also available in gray and Navy velvet.